Abby Kilroy is a junior at WHB. She has lived in East Moriches her whole life with her parents, two younger brothers and cat. During the school year, she is a part of the girls' winter and spring track teams as she likes to stay active. Abby loves spending time with family and friends. She also loves to travel, and has been to many different places such as Mexico, Canada, the Cayman Islands and the Bahamas. 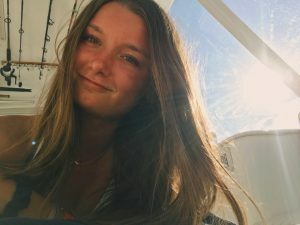 During the summer, Abby spends most of her time in Montauk, at the beach and working at La Ronde Beach club. This is her first year writing for The Hurricane Eye.